But, first let’s take a look at what’s going on in the crypto market space so we can best determine if this is the best strategy to employ. In the past, people have often made definitive, concrete statements about up-and-coming technologies that have been proven to be totally incorrect. Let me give you a few of my favourite ‘definitive statements‘ that haven’t worked out too well. 1977: “There is no reason for any individual to have a computer in his home.” — Ken Olsen, founder of Digital Equipment Corp.
Then we watched, Bitcoin, in particular, soar by 2,000% during the latter part of 2017, hitting an unimaginable peak of nearly $20,000, before finally losing steam. 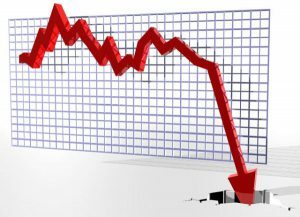 Granted, since the peak, of January 2018, the total value of the cryptocurrency market has plummeted more than 70%, from around $835 billion to $243 billion. Some may think that the Bitcoin critics have been vindicated by what others are calling a massive correction. But this is not the first time Bitcoin has ‘crashed’ or corrected. And the price has alway rebounded at the end of the each crash period, and has always rebounded higher, than peak of the reported ‘bubble’. The ’90s saw a period of rapid technological advancement in many areas, particularly the commercialization of the internet that led to the greatest expansion of capital growth the U.S had ever seen. The dot-com bubble grew from speculative and fad-based investing, the overabundance of funding for hundreds of start-ups. Companies that had yet to generate revenue, profits, or even products, went to market with IPOs that saw their stock prices triple and quadruple in just one day. Speculators were barely able to contain their excitement over the “new economy,” creating an absolute feeding frenzy for investors. It was a textbook embodiment of “FOMO,” or fear of missing out. Because dot-com investing had become so immensely popular, investors relinquished their common sense in order to get in on the next big thing. In 1999, there were 457 IPOs, most of which were tech companies. Dot-com company share prices skyrocketed while the industry was still developing. Of the IPOs in 1999, 117 companies doubled their share prices on the first day of trading alone, underscoring the exuberance of the market. By March 2000, there were 4,715 dot.com, companies trading on the NASDAQ. By the end of 2001, the majority of publicly traded dot-com companies folded, and with them, trillions of dollars of investment capital simply evaporated. Companies that had reached market caps in the hundreds of millions became absolutely worthless. Now, the crypto industry is experiencing something similar. With the marketing of initial coin offerings (ICOs) and many unproven or just stupid. In 2016 there was 43 and in 2017, there was 210 ICOs, which raised over $6 billion in funding. 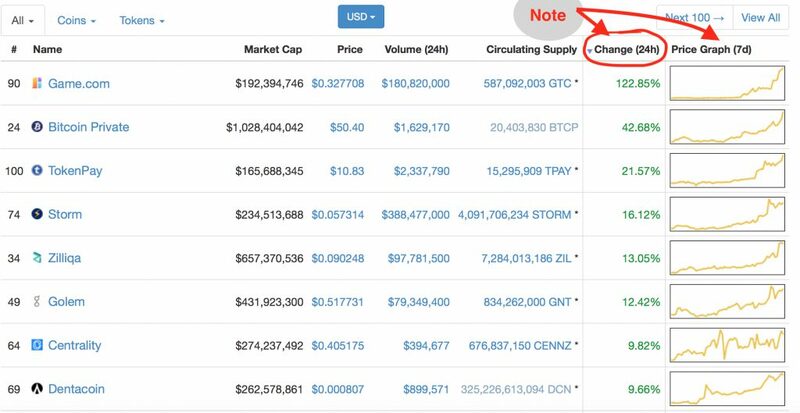 In the past year, we’ve seen the price of cryptocurrencies rise tens of thousands of percent higher than their original value and there is over 1400 different cryptocurrencies. Bitcoin and most altcoins, like Ethereum and Ripple, were all buoyed to new heights by the increased demand from investors eager to get their share of this latest fad. And the market’s incredibly highly speculative nature has contributed to what many are calling the overvaluation of a number of cryptocurrencies. All symptoms of the speculative behaviour, that was seen during of the Dot-com bubble. And the market’s recent meteoric rise, has undoubtedly placed the entire crypto sphere in a huge bubble. Just like the thousands of early dot-coms, many projects behind crypto tokens have yet to actually deliver definitive real-world value. These are just some of the patterns that led me to believe the crypto market’s trajectory is ultimately going to be the same as the dot-com bubble’s. The recent correction, which saw Bitcoin’s price tumble down to $6,000 from almost $20,000, just reaffirmed it. Don’t worry because these crashes are exactly what happens during market cycles such as the dot-com “bubble,” when internet companies experienced a merciless culling. But those that survived, came back stronger than ever, making absolute fortunes for their long-term investors. When the dot-com bubble crashed, many of today’s top tech companies were reduced to pocket change. You could have scooped up Amazon for under $20 back then and considering that today Amazon stock is worth over $1,500, the technology sector has made quite a comeback. Many of the worlds most valuable companies Facebook, Apple, Amazon, and Google, came out of that market crash. We have seen this “mania and crash” cycle before, in modern times, with both the internet and the cellular technology markets, which are both examples of the “mania-crash-recovery-mass adoption cycle” that all new technology markets go through before they become mainstream. So, expect the same with the crypto market and invest and trade with the expectation of volatility. The graph below, shows the typical market trend for new technology in terms of price and value over time. This has played out many, many times, with the dotcom boom, the real estate market, internet stocks, commodities, and every other emerging industry and market. It would be surprising if the cryptocurrency market does not follow a similar trend. Comparing the price graph of Bitcoin (to the right) with the market graph above. It does look very similar. Some may argue that still in the ‘Awareness Phase’ (depending upon when you are reading this) because the institutional investors haven’t come in yet. 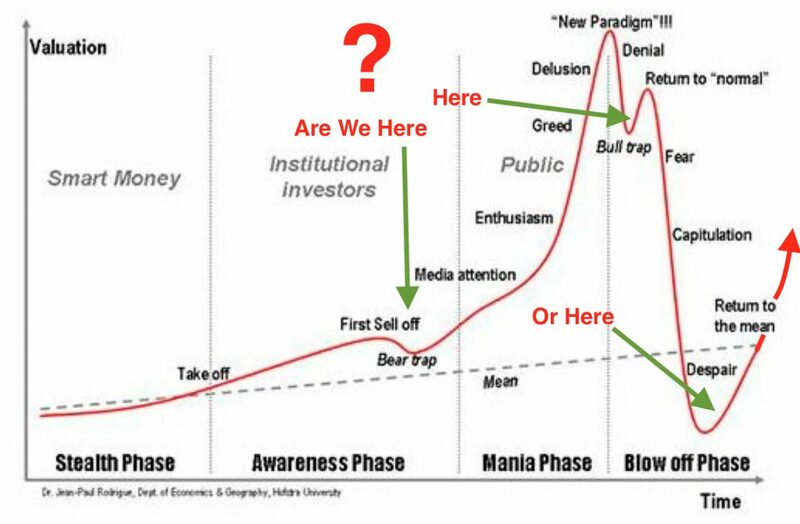 Others may argue that we are have just gone through the ‘mania stage’ because of the previous huge price surge and we are now entering into the ‘Blow off Phase’ and getting ready for the next big drop. Others may argue we are already in the ‘Blow off Phase’ and have just gone past despair as the general public has abandoned all hope of a recovery and therefore we are getting ready for the next massive run up. Well, wherever we are, it’s highly probably it’s going to follow this same market pattern as previous history has demonstrated. And no matter who is right. ‘TIME‘ in the market, not just market timing, is going to make you a fortune. In fact we’re probably going to see many of the existing cryptocurrencies fail and vanish altogether, while those that remain will eat up bigger and bigger chunks of an ever increasing pie as cryptocurrencies go mainstream. We might even see, the granddaddy of them all, Bitcoin, fade away, while a new one rise to dominate the market place. Its possible that Bitcoin could follow the fate of most first movers. Do you remember the very first cellular telephone? I’m talking about the big, hunky clunkers of grey plastic that Motorola first created. You practically needed a briefcase just to carry one! You know the ones I’m talking about? With the tall black antennas on top? The technology was cutting edge. It changed the world! But now we have smartphones and if you had a choice to buy a new phone today, would you buy a new smart phone, or would you buy the “granddaddy” mobile telephone? The “first movers” break the ice and grab the majority share of the new market but, then they are often rendered obsolete by “fast followers.” That’s what we could see happening any day. Bitcoin is a technological breakthrough, a game changer in that it gave us the blockchain technology. Just like Motorola gave us the first cellphone technology, around 40 years ago. But, then fast follower Apple came along, and took the basic idea, and then made it more useful, smarter and much more powerful. More often than not, the first mover in the technology is not the best one. And the cellphone is just one example. Myspace was the first social media website. It was great. But then along came Facebook which was so much better. Archie was the first search engine but, then came even better ones, like Yahoo and Google. Not to say the Bitcoin is doomed and will disappear overnight, because that’s not the case just yet. Bitcoin is still the “gateway crypto” to other digital currencies. You need to have Bitcoin (or Ethereum) to buy other cryptocurrencies. So, all the new investors entering the market and will need to buy Bitcoin with dollars or euros, and those people who are already invested in Bitcoin are either going to be holding them or using it to buy other digital currencies. Ethereum is also a powerful platform and is used by web developers around the world to build other decentralized applications meaning there are literally hundreds of Ethereum-based decentralized applications floating around out there. 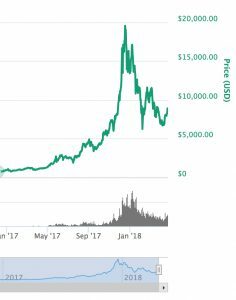 So, although Bitcoin might fall out of fashion as time goes by, and it may eventually follow the fate of most first movers, the price will remain relatively stable in the foreseeable future, which is important to the institutional investors, who don’t like volatility. And as it’s the longest-existing and most commonly recognized cryptocurrency, I believe Bitcoin represents a long-term investment that will likely to benefit the most, from the major institutional investment that will be coming into the market in the next few years, or perhaps even as early as the next few months. Is the fact that cryptocurrencies, may have gone through the “mania — crash” part of the cycle, which means that the mainstreaming (mass adoption) of cryptocurrencies, is as inevitable as was the recent crash in cryptocurrency market. In other words, this is exactly what typically happens in every market, as it moves through its life cycle. 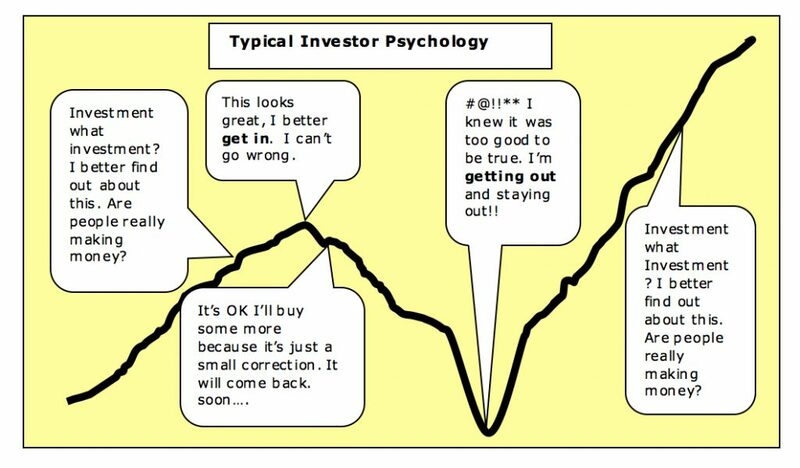 And most investors unfortunately follow the typical investor psychology (as outlined below) where they get in, near top of the market, once it has already made its biggest moves and when everyone is talking about it. Then they climb out when the market drops, as it goes through the typical correction, as all markets do. The upside to all this is that the future outlook in terms of overall value, is far more optimistic and sustainable than the up and downs of high volatility, that has defined the crypto market for the last 12 months or so. Many early investor made a fortune while the late-comers probably lost a lot of money. What many of those investors who have either lost money and who have jumped out don’t know, is that over the course of the last month or so, while the world has been focused on North Korea, trade wars, tariffs, the facebook data scandal, and Syria. The cryptocurrency market, quietly regained more than $100 Billion in value. And just recently it gained more than $3 billion, a 45% jump in value, in less than two weeks. All indications that a recovery is already underway. This Second-Wave Crypto investing, could mirror the “Internet revolution” or the “Dotcom bubble” and for those who missed making millions in the first “manic phase” of crypto investing, this second, mainstreaming wave, is another opportunity to invest and make a fortune. 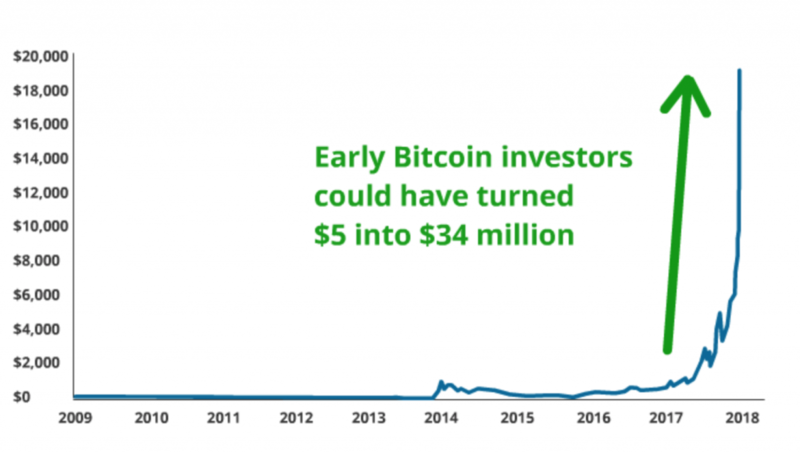 Because in the long run, this current $350 billion market is going to grow far bigger than it ever did during the early parts of the market cycle that we have just seen. So, keep an eye on the market cap because when it hits a trillion, or more the institutional investors will move in. 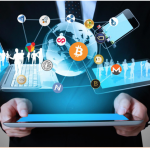 In the meantime there is going to be a lot of growth in the crypto market and new coins are going to be minted and trading cryptos could become a lucrative investment strategy that could net some people, millions of dollars and probably make many others, a great living, from implementing a few profitable trades, here and there. But, Isn’t Trading Currencies Risky? Normally, I would say yes! But, with only a tiny investment required for such a massive upside, the potentially enormous gains, easily out-ways the small amount of financial downside risk. Provided you never invest more than you could comfortable stand to lose. (whether that be few dollars or a few hundred) Then trading could be extremely advantageous. Provided of course you knew what you were doing and it didn’t mean spending hours in front of your computer. Imagine receiving information on any newly minted crypto-coins that could potentially increase in value 10X to 100X from their initial investment and being able to invest within a few seconds after being notified, to start profiting from them when they take off. Or being able to buy and sell cryptocurrencies whenever there was a price differential large enough to show you a profit instantly, with the click of a mouse. Well, now there is software that automates all the processes, that seasoned crypto experts currently do manually and pulls together all the research data required to analyse whether a trade is profitable or not. 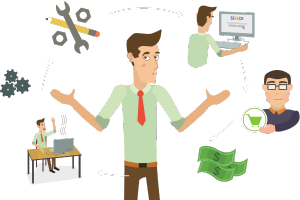 An entire software program that puts all the tools needed, into a simple, easy to use software suite, that you could use, to make serious money. Cryptosuite shows you how you can buy Bitcoin for X through exchange A, and sell it at a profit instantly at exchange B with the click of a mouse. This is known in the financial industry as arbitrage and it’s a fast way to make money. The software also alerts you to all the new crypto-coins being offered and which ones may be worth a small investment in before they skyrocket in value. 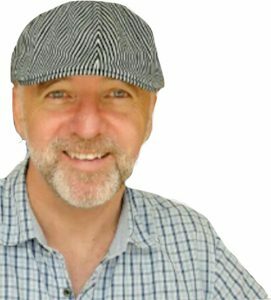 This is the next generation trading software that is well worth taking a serious look at and could be your ticket to securing your financial future. Why should you take any notice of what I have to say about Bitcoin and Cryptocurrency in general? That’s a great question! I know that I want to know something about the people that I’m getting advice from. 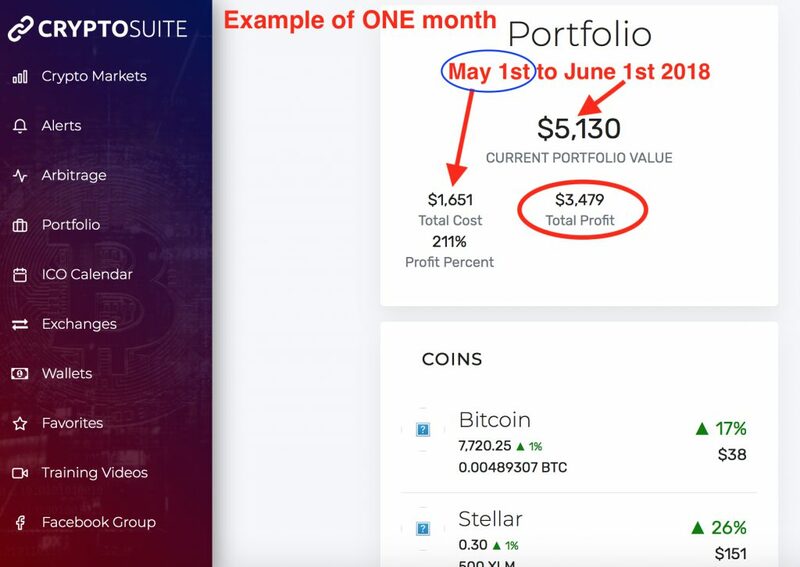 Below is a screenshot of my profits a month after I began using Cryptosuite software. Starting with a $1600 investment on May, 1st, you can see I am a head $3,479, ONE month later, as of June (2018). 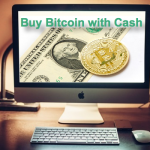 To learn more how Bitcoin is used as digital money how the digital transactions take place and what is meant by a distributed ledger called a blockchain and what it is that makes Bitcoin valuable; Visit my post What Is A Bitcoin? To learn more about how this blockchain technology may be the most important single development since the invention of the internet and how it’s going to be a game changer. 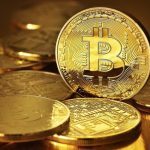 You may like to visit my post What is Bitcoin About? You can use this link here: What Is Bitcoin About? To learn more about why I think we are only at the beginning of the new revolution in blockchain-related technologies and in terms of the overall development Cryptocurrencies are a small part of that emerging industry. This new technology is going to change the world and is the most important new development in finance and commerce this century. Also see how I turned $500 into $20,000. Take a look around and review the other posts while you are here and grab a copy of my Book, Why Invest in Cryptocurrency? And how to get Started. 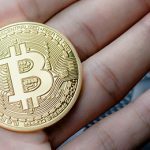 If you enjoyed this article “How To Trade Cryptocurrency” please share socially and leave a comment below. 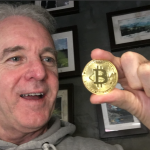 And if you do, I will reward you with a free PDF copy of my Book; “How To Buy Cryptocurrency? And How to get Started“. (Also available on Amazon). 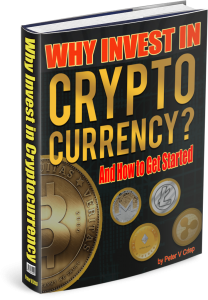 It’s packed with a lot of detail and information that will get you excited about the future of cryptocurrencies and it explains how you can get started, investing profitably. “So, what are you waiting for? Accept my bribe and socially share and leave a comment below and I will send you a PDF version, by email of my book. Why Invest In Cryptocurrency? And how to get started – Thanks! P.S. You can buy the book via Amazon Kindle or get the paperback version”. Just like riding a roller coaster! My forays into trading have never been successful but I’ve never been coached before so maybe this time? I read an article about how mining for Bitcoin has become too expensive for miners to make a profit due to the cost of electricity to power the computers that are necessary for crunching the numbers. How do you think this will affect cryptocurrencies in general and Bitcoin in particular? It seems to me like it could go either way. If nobody is mining Bitcoin will it become more valuable? And if it becomes more valuable by the law of supply and demand, then miners will again be able to make a profit. However, it could become a stab to the heart, disenchanting the much needed investment community due to more volatility. Very interesting reading and much food for thought, thanks for the great information. I love your section on ‘definitive statements’ that have been proven false. Hindsight’s always 20/20, huh. If only we could find a way to make foresight 20/20 as well. I love your writing style and how you have included so many analogies to illustrate the trends that you are talking about. They really helped someone who does not know much about trading or investing of any sort (me) understand what you are saying.